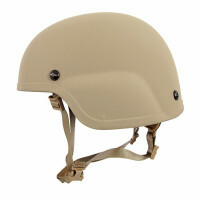 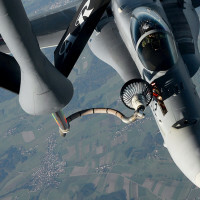 Air Force photograph by Staff Sgt. 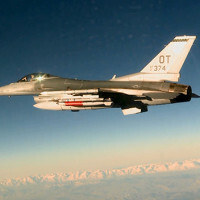 Brandi Hansen An Air Force F-16C dropped an inert B61-12 during a development flight test by the 422nd Flight Test and Evaluation Squadron at Nellis AFB, Nev., on March 14, 2017. 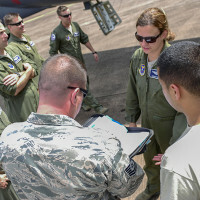 The test is part of a life-extension program for the bomb to improve its safety, security and reliability…. 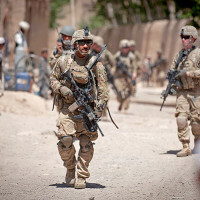 No decisions on whether to increase U.S. forces in Afghanistan have been made yet, the chairman of the Joint Chiefs of Staff told reporters in Israel Tuesday. 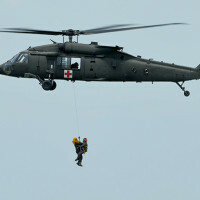 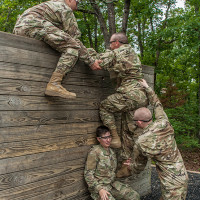 Soldiers with the 101st Combat Aviation Brigade, 101st Airborne Division, assisted Airmen near Scott Air Force Base, Ill., in completing lifesaving overwater training on June 29. 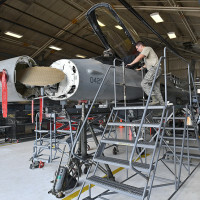 As the 388th and 419th Fighter Wings at Hill Air Force Base, Utah, transition from the F-16 Fighting Falcon to the F-35A Lightning II, milestones occur frequently. 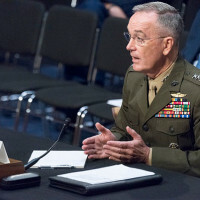 The erosion of American military capabilities is real and must be halted, the chairman of the Joint Chiefs of Staff told the Senate Armed Services Committee in Washington, D.C., Sept.26.